mwe3: Although Science NV have been making music for a while, why do you think its taken so long for the band to break through to a wider audience? Do you consider the band to be progressive rock or more a modern day avant-garde neoclassical rock band? were a prog-rock band. The name reflects a genre that, by definition, is constantly evolving. The stuff were recording now would be considered very avant-garde forty years ago, but not in 2018. What does the name Science NV signify? Science NV: Jim and David had similar experiences shortly before we met. David had a clarinetist (Peter Yosheff of Earplay) tell a story about how he believes some composers liken their scoring style to a committee of white-coated scientists. He said that was just plain silly, that they were trying to make the music appear more complicated, thinking that this would lend a sense of sophistication to their work. He said they had science envy. We all thought that was pretty amusing, so we mutated it for our band name. About the same time, when one of Jims first composition teachers learned that he had degrees in physics and math, the teacher pulled out a handheld calculator to demonstrate that it had a log button. Jim called it physics envy. mwe3: What can you tell us about your earlier album releases and how it led up to what it going to turn out to be the double album The Quest For Prester John, the first half of which has just come out in early 2018 and the second half which is just coming out as we near mid 2018? So this is what is called as a concept album right? Science NV: Definitely a concept album this time around. Jim had the initial idea that ultimately became two hours of new music: use the legends of Prester John as a vehicle to tell compelling stories. and they would truly be stories. So, many of them would need lyrics, which ScienceNV has never done before. Second, our previous albums were always full of silly titles and gags. There is still a bit of this with the new album, but for the most part it is a much more serious work, as the legends arent terribly pleasant. 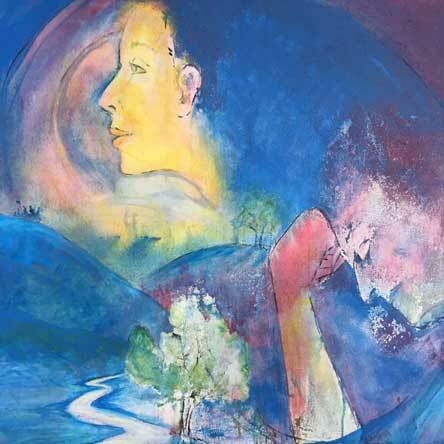 mwe3: Do you feel Science NV is reinventing a new type of progressive rock? You mention ELP and YES and also Mahavishnu Orchestra as big influences. So do you feel youre taking that historic music from the 1970s and building a bridge to new sonic vistas? Isn't interesting how connected progressive rock is to jazz-fusion, right? Science NV: Well, we all loved early prog-rock, but not the same bands. David was quite fan of ELP, YES and Return To Forever. While Rich and Jim were steeped in King Crimson, Genesis and early Pink Floyd. We also have lots of influences outside of prog; for example, some of us have written for and performed with for symphony orchestras and opera. So during the process of writing, rehearsing and recording, a myriad of influences becomes a novel amalgam. mwe3: How did you come up with the subject of Prester John? Is it mythology or more real? I was reading on Wikipedia and its an enormous legacy that dates back to 1200s and spans continents. Does your album go beyond progressive rock and into a new unscripted musical genre? Compared to most of us overwhelmed you guys positively energized about the last 1000 years of world history! Science NV: Good question. We may have reached the point in our lives where we ponder such things a bit too much, and there was a lot of stuff going on our personal lives while we worked on this album. The Prester John legends are a formidable legacy, at so many levels. Poor communication during the dark ages caused rumors to blossom into miraculous legends. They were accepted without skepticism, distributed widely, and caused thousands of people to waste their lives dedicated to finding Prester John. We wanted to try and capture the audacity of some of that era and those quests. There were so many legends; it was hard to stop writing, actually. We ended up recording nearly two hours of music! mwe3: Prester John was/is also a fictional character that appeared as far back as 1966 in American comic books. He also had the evil eye which could disintegrate matter. Were you inspired by all the versions of Prester John? Do you have a favorite tale or part of the Prester John legacy? Science NV: The comic book stuff didnt do much for us, to be honest. As we mention on our website, our primary resource was a fairly academic text written by Robert Silverberg (the sci-fi writer) in 1972. He spent an enormous effort researching the legends and compiled some pretty cool narratives. Not all of our songs were based upon this, however; Eloises Tale, for example, is a grand, imaginative story told from a very personal point of view. Its not explicitly derived from any single legend. One gem that Rich found: Prester John was said to have commissioned trips up the Nile, hoping to find its source. One group supposedly succeeded, after rowing upstream for years, surviving off of raw fish caught from the river. One man was chosen to scale the towering falls to see what was at the top. However, once he reached the top, he refused to communicate to the others what he saw. And he also refused to return. Two other men repeated this feat, disappearing above the falls. The remaining men below the falls were so freaked out that they decided to return home, reporting to Prester John that mortals were not intended to see whatever was up there. This is the story told in Above The Falls, the fifth track on our new album. mwe3: Science NV went from instrumental fusion to the most complex vocal project imaginable. Tell us about some of your instrumentals. I was impressed by the SNV version of Ravels Bolero, which is also a video on the bands web site. That piece of music actually dates back to 1928! What makes a good video in your estimation? Speaking of which, the Quadropole video is amazing as well. Science NV: Each of our albums approached writing and recording differently. Our first album arose from music we had worked up for live performance, including Ravels Bolero. Jim and David have written a lot of music over the years and their styles merge in unexpected ways. When the four of us get together, we often revise things spontaneously; Chinatown, on our last album, is a really good example of what can happen if you work on a song together over many months. Once we know the basics of a piece of music, we start selecting instrumentation. Drums, guitars and synths get tweaked, and ultimately each song sounds really different from the next. With regard to what makes a good video: we have usually started with some vintage footage from the Prelinger archives and toss around ideas. Videos are good fun, but we try not to let the visuals distract from the music; after all, were mostly musicians, not video geeks. A good sense of humor has always been handy. Videos for the new album may have less silliness to them, as the subject matter is often quite serious. Thats still being worked on. 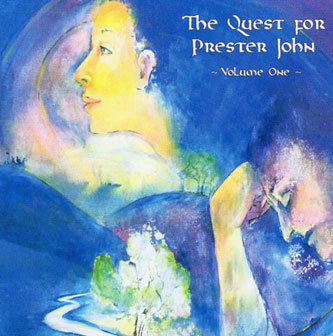 mwe3: You mentioned that The Quest For Prester John is coming in two parts. So how would you compare the Vol. 1 and Vol. 2 parts of this album? Is Vol. 2 as adventurous as Vol. 1? Science NV: I wouldnt characterize one of the CDs as more or less adventurous. The legends are arranged, approximately, chronologically, i.e., The Mongols is on Volume One and Thirty Ethiopian Ambassadors is on Volume Two. The final piece, not coincidentally, is The End Of A Legend. But we didnt record them in sequence. We worked on the pieces as we developed ideas. Some of them were difficult to write and even more difficult to play. We had a modest number of overdubs, but the core ensemble recordings had to be solid. Weve been playing together as ScienceNV for 14 years. While working on The Quest For Prester John, we were really getting finicky about everything. We called it painting a 747 with a Q-tip. As a joke, last year David mailed Jim a box of Q-tips while he was struggling with some of the final mixes. (lol) David started calling some of our stuff precision prog, as there was so little room for error. For example, the opening track, Fanfare, is only two minutes long, but it flies by, and the counterpoint required so much precision; it took us several recording sessions to finally nail it. The same is true for The Mongols. Larry initially sketched out the 5/4 riffs, and it was a lot of fun to play. However, by the time we were done working it up, we had three melodic lines playing at 200 bpm. mwe3: Are all of the members of Science NV musical gearheads or gear collectors? What do you think of the vintage aspect of gear and recording equipment compared with todays over-fascination with futuristic products and musical equipment? Its amazing with all the sampling and modeling how people can recreate any sound from the past on their computers. mwe3: Now with your new double album The Quest For Prester John 1 & 2 released in two parts, what does the musical future look like for Science NV and what kind of profile will the band be having this year, 2018? How can we all face our planetary future and still remain undaunted and courageous? Science NV: To be honest, we have been overwhelmed with finishing up this gigantic project. It required three separate mastering sessions last year! So we havent talked much about what happens next. There are a lot of changes going on, most notably, Jim and Rich are retiring this year, from teaching and clinical practice, respectively, freeing them up to pursue other bright and shiny objects.